Today is #12DaysofConstantChristmas Day 4 of my advent competitions. I am very excited to be back running these fabulous advent competitions again. Over the first 12 days of December there will be a collection of 24 hour competitions followed by Day 12, the finale competition – that is a longer competition and for a bigger prize, over £500’s worth of prizes this year! 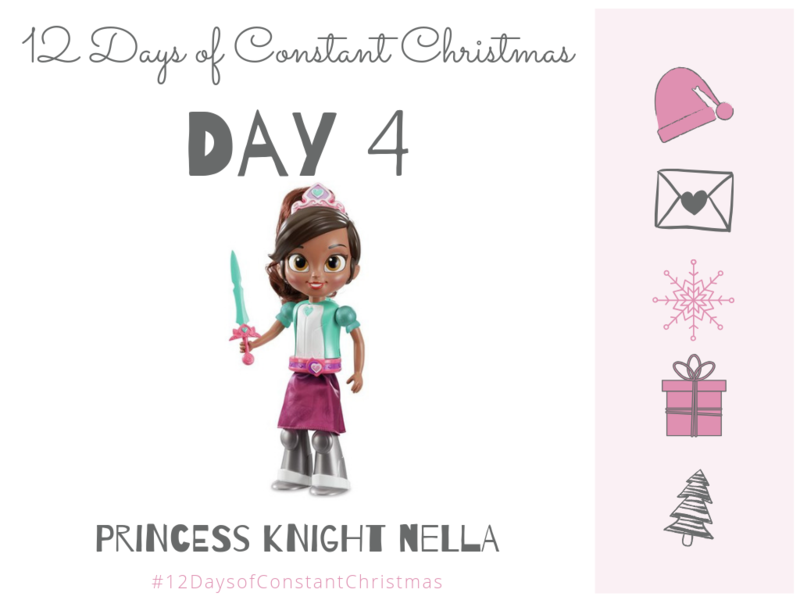 Today’s competition is for the princess Knight Nella doll. This transforming Princess Knight Nella doll instantly changes from princess to knight at the push of a button, with a magical musical sparkle. Simply twist Nella’s belt to change her back to glamorous princess. Press Nella’s tiara to hear phrases and the theme song from Nella the Princess Knight. Includes hair brush for Nella’s hair, and a sword for knightly adventures! In this competition you will win the Knight Nella transforming doll at RRP £34.99. All you have to do to be in with a chance of winning this #12DaysofConstantChristmas Day 4 prize, is fill in the competition entry form below, it really is that easy. If you have any problems then please do get in touch. This competition closes at midnight, winners will be announced above the next day. Good luck! This would be perfect for my youngest daughter! I would give this to my friends daughter who is going through tough times due to parents separating. My goddaughter would love this! My niece would love it. I would give it to Bertie…he would love her! I would give it to my youngest niece. If i was to win i’d give this prize to my niece to enjoy. My four year old daughter – she absolutely loves Nella the Princess Knight! I would give this to my niece, Honey. I’d give this to my little girl. She would love it!